To celebrate my birthday, I decided to go to the movies with my family and watch "Finding Dory" in order to make me feel better about my awful short-term memory. Of course, it wouldn't be a proper celebration without sushi, so before the movie, I went to Matoi Sushi, one of the most well-known sushi establishments in Coquitlam. Lo and behold, after struggling to remember to bring the movie tickets with me, I completely forgot to take a picture of the front of the restaurant. 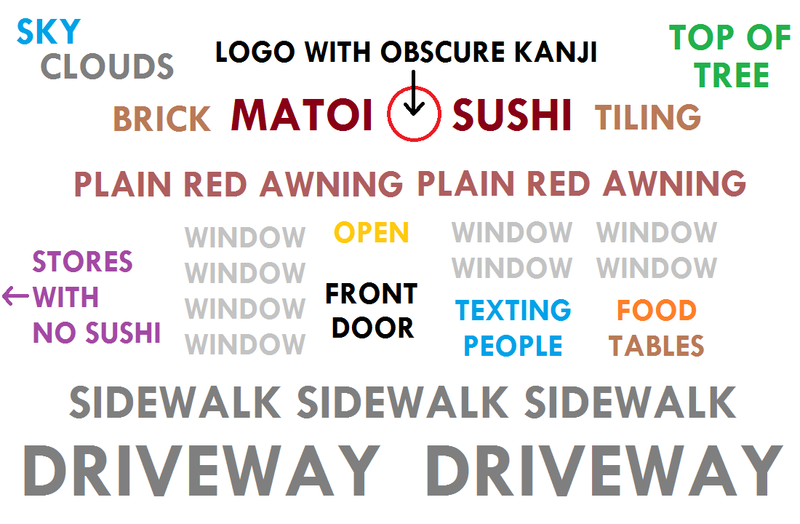 To make up for it, I created the graphic below, which should give you an excellent idea of what the restaurant looks like. 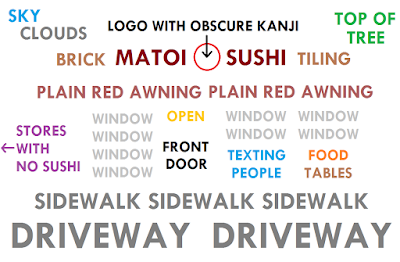 Matoi Sushi is an authentic Japanese restaurant that has been praised constantly in online reviews. To the best of my knowledge, it is the only authentic Japanese restaurant in Coquitlam other than Osamu Sushi. 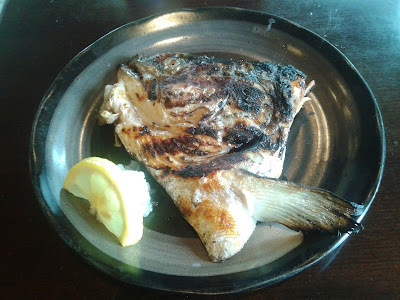 The restaurant was packed soon after we sat down (as I expected), and since grilled fish is one of their greatest strengths, I made sure to include the Salmon Kama in my order. 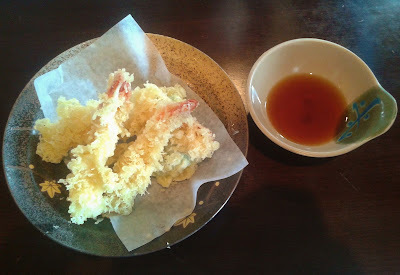 The Prawn Tempura came with four prawns and one piece of green bell pepper, which my dad snatched before I could even see what it was. At least he told me it was very good... The prawns were also good as they tasted juicy and fresh. The batter had a good amount of crispiness, but I found it a little thick and weak in flavour. Surprisingly, their sashimi was not really up to par during this visit. The Hamachi Sashimi tasted fishy, and the Tuna Sashimi not only shared the same woes, but was also mushy. Nobody in my family was willing to eat it, so yours truly temporarily morphed into a garbage can once again. 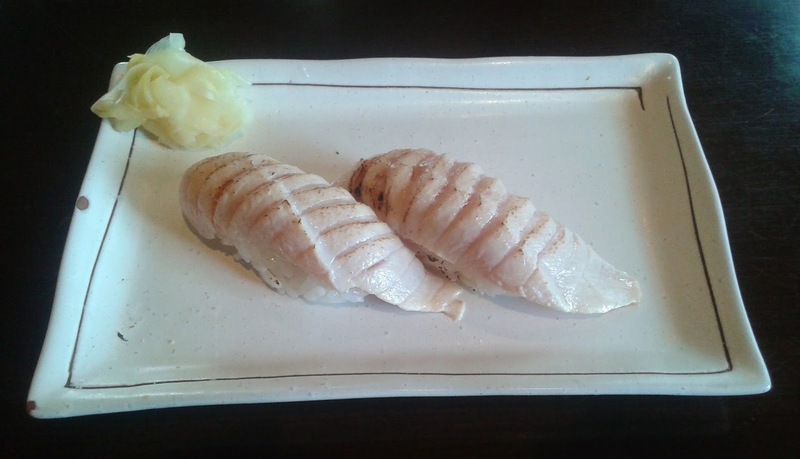 The Tako Sashimi, though it wasn't very smooth in texture, at least tasted fresh. The Salmon Sashimi was the clear winner here, with a fatty, smooth, and adequately soft texture. Fortunately, the Toro Nigiri tasted juicy and fresh. The rice formation was good, and the toro was seared just the right amount. 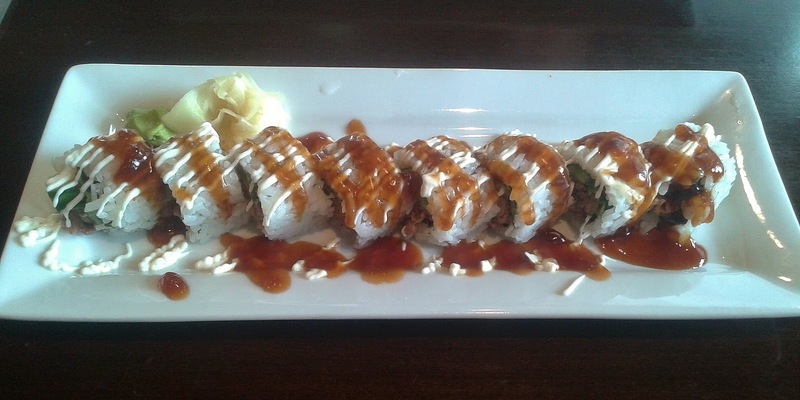 The Gyu Roll (Beef Teriyaki Roll) is one of the cheaper special rolls and looked like a fitting choice for me since I like both beef teriyaki and sushi rice. The lettuce bits in the roll added some crunch, but unfortunately, the main ingredient, the beef, was tough and not really up to any of our standards. The sauces were also a little thicker than expected. Once again, I got the opportunity to eat pretty much the whole thing and pack on those calories. As strange as it might be, I believe I have the highest tolerance for crappy food in my family. In the Beef Udon, the broth was well-balanced and absorbed the flavour of the beef well. 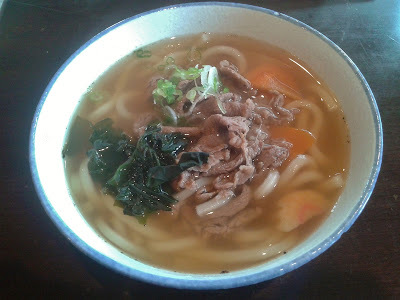 The udon noodles were quite tasty and had a nice al dente feel to them. This was mainly for my dad (who refuses to eat cold food even when it is 30 degrees outside), and for the most part, he was satisfied with this dish. The only issue that all of us noticed was, of course, that the beef was tougher than expected. Just like that refreshing feel at the end of a nice massage, our dinner came to a happy ending with the Salmon Kama. Yes, the fish head has a somewhat ominous and creepy gaze, but the small amount of meat in it was juicy and had an appetizing grilled flavour. This dish brought light to an otherwise lackluster meal and exemplified what Matoi is best at: grilled fish. Despite how the restaurant was rather crowded, we still received friendly and timely service during our visit. The quality of the food was unexpectedly hit-and-miss. 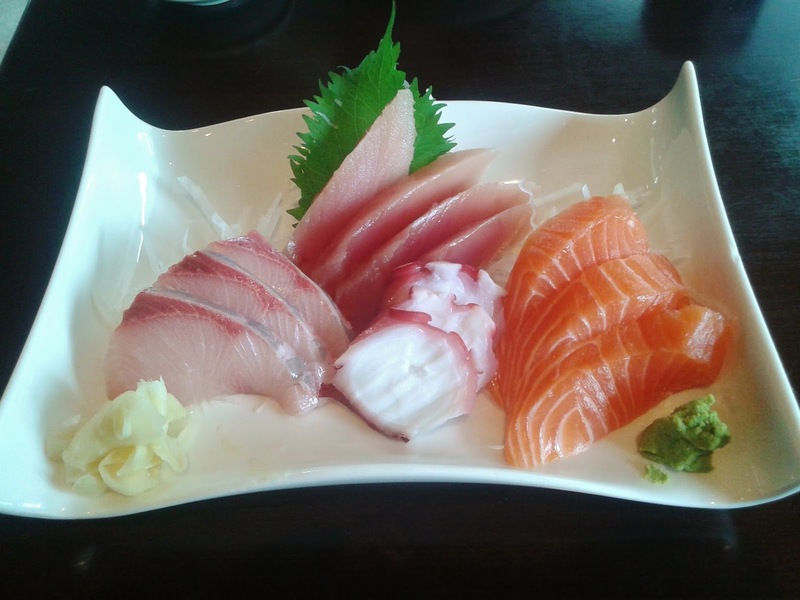 They excelled at the salmon sashimi and the grilled fish, but the beef and tuna were remarkably weak. I suppose this is another example of how authentic Japanese food does not always trump inauthentic Japanese food.